My summer book club just read a lovely novel about a French bookstore owner who sells books from a floating barge on the Seine river. But he’s gifted. Jean Perdu can literally prescribe just the right book for anyone to help mend their broken hearts and souls. Of course, the only person he can’t heal is himself, but you’ll have to read the story for yourself to find out more. Among all the things I enjoyed about this book, I found the wisdom dispensing protagonist fascinating because of how well his character illustrated with everyone who left with just the right pile of books—that listening is so much more than just opening up our ears. It involves all our senses. What do we see as someone is sharing with us? What do they do as they’re talking? What aren’t they actually saying? Maybe what we call intuition is just good listening—with all our senses turned on. My first visit to your site although I have heard you on the radio often. You caught my attention when you were talking about the Paris novel and the floating bookstore. Just have to check it out so I just ordered it. God bless you in making a difference for Christ!! Sandi! I’m so glad you found us and I hope you enjoy the novel! My Tuesday night Bible study changes rhythms over the summer and we vote on a few lovely stories to read and discuss together and that was one of them! I’d love to know what you think! Certainly the protagonist is delightful…and someone to admire when it comes to learning to read and “listen” to people! And the picture of transformation and healing the author gives us through beautiful, gritty and honest community? So, so good! 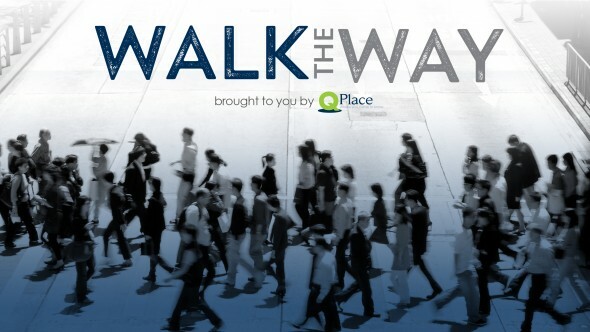 If you’re new to Q Place, we’re all about stuff like that…so check out http://www.qplace.com and join our Walk the Way community at http://www.facebook.com/walktheway! Have a great weekend, Sandi!